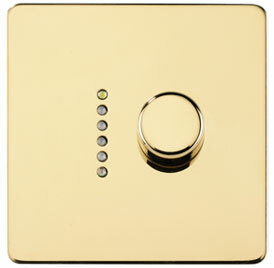 Scene-select Wall Plates can handle any number of lighting channels or circuits and may be positioned up to 150m away from MoodMaker Set-up Units. 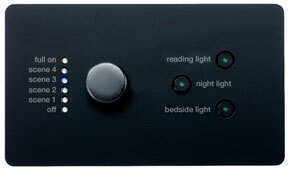 Scene selection is enabled by smooth rotation of a digital encoder which cannot be over-rotated. For other finishes, other manufacturers and custom screening, please call us. 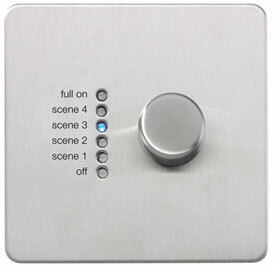 Scene-select Wall Plates are an integral part of MoodMaker Scene-setting System.